Patients are buying differently, and it’s time to promote differently. These days, patients make decisions about your business before they even meet you. 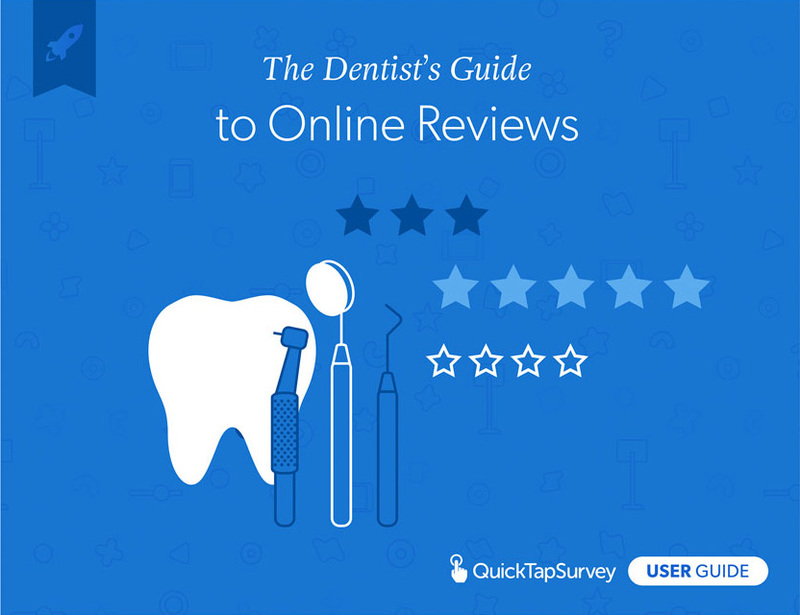 Online reviews are now an integral part of a successful dental practice. In this guide you’ll learn how to improve your patient experience and grow your business by creating a customer feedback system to proactively generate more positive reviews. Looking to drive more patients to your business? This guide walks you through how to leverage your happy patients to generate more business for your dental practice. We start with walking you through the basics of how local SEO works and how you can increase your rank locally. From there we guide you through how to launch an automated patient feedback system to generate more five star reviews and prevent bad ones. Last we’ve rounded up quick and easy marketing tactics you can implement for your dental practice including email marketing, Facebook custom audiences, and more. Learn how to optimize your website for search engines and help you drive more traffic and build your practice. In this chapter we’ll introduce search engine optimization (SEO), explain the factors influencing your search rankings and show you how to improve your on-page and off-page SEO so you can get to the top and stay there. In this chapter we discuss the importance of claiming a local. business listing and how to go about doing that. Learn about the advantages of using local SEO, maintaining a consistent NAP (business name, address and phone number) and optimizing your GMB (Google My Business) profile. . In this chapter we dive into how to create your own customer feedback system + automated reviews program and what it can achieve for your business. Learn about improving patient satisfaction, preventing bad reviews online, increasing your positives reviews and gathering insights across multiple business locations. There are virtually unlimited ways to use the patient feedback you’ve collected to improve your business. In this chapter we explore three ways to analyze your feedback and make it actionable, including bucketing it into categories, scoring your feedback and visualizing your data. Now that you’ve expanded your email list with the email addresses you’ve collected, what can you do with them? In this chapter we review great uses for your list including gathering insights, sharing trust-building content and offering educational resources to your customers. While Facebook ads and Google Adwords are both effective advertising tools for your business, they each target different audiences and service a different purpose. In this chapter we review the differences between Google Adwords and Facebook ads, and learn more about audience targeting options and marketing best practices.